Add flavor to your party with our line of decorative fruits, veggies and more. 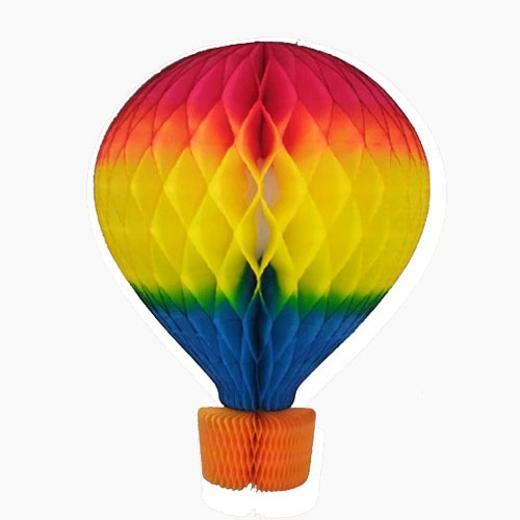 This 16" Multi hot air balloon honeycomb decoration is great for birthday parties, theme parties and hot air balloon aficionados. Mix and match our wide variety of hanging decorations to perfectly suit your event or party. Hanging honeycombs and garlands are a versatile way to decorate any party or event. Mix and match our huge collection of paper garlands, honeycomb products and holiday decoration for a party look that is one of a kind! L: 16.0 in. W: 6.0 in. H: 0.2 in.